Finally! After months of being unhappy with the look of my blog I finally sat down and changed the look of it. I wanted to keep the clean feel of the former one but also making it a bit more appealing to the eye. With relatively easy means this turned out to be more simple than I thought it would. No need for CSS tweaking (not on my part at least) and…. voilà! Furthermore, this is a pretty useless post but I had to try my new blog, right..?! Anyway, thanks for listening as always. I’ll be posting some interesting things soon! This entry was posted on February 18, 2011 by Contrastique. It was filed under Miscellaneous and was tagged with Blog, New Layout. Great choice for your banner image!! Thank you! I was really happy with it too after having tried different ones. Reminds me I still have to send you some images..coming up this weekend!! 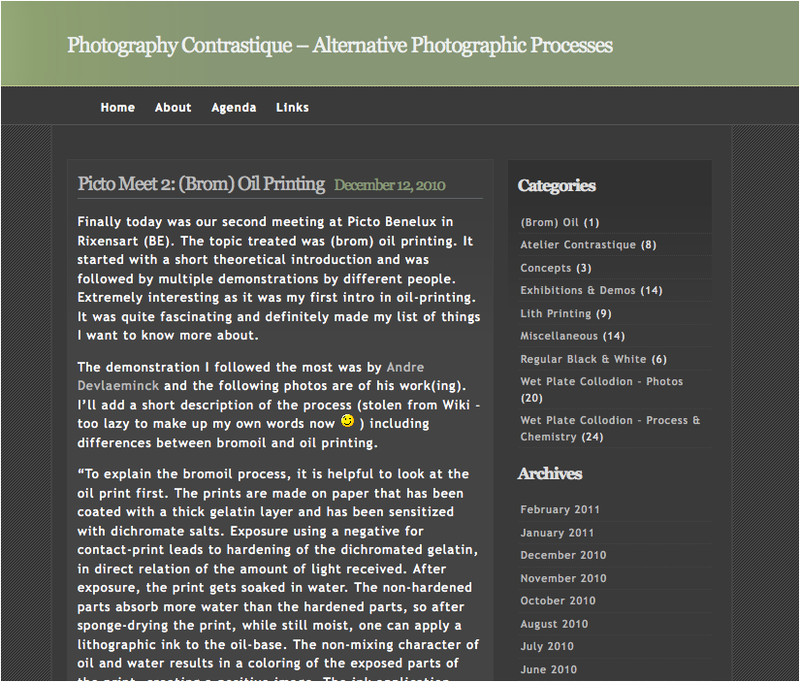 Hi Indra, I like the new blog layout, was looking at this one myself. Hi Tony, It’s a great theme; very clean and lots of possibilities without having to dive into CSS. Good luck!